In a series of vignettes, some serious, others hilarious, and some that are almost hard to believe, Dr. Cohen takes readers inside the world of veterinary medicine and surgery. Published in 2007, the 109-page book, including acknowledgements, is an amazing, quick, educational read. It’s apparent she knows her stuff, has an intense connection with animals and practices cutting edge care for her four-legged patients. 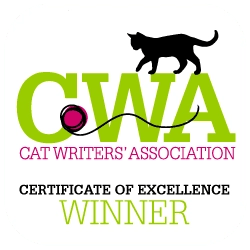 I had never heard of Dr. Cohen before attending the Cat Writer’s Association’s Annual Conference in White Plains, NY last November. She had been asked to do a special presentation on pet care, asked for an encore appearance because she had received such rave reviews the previous year. She also graciously gave a free copy of her book to everyone that attended her presentation. I must say I was impressed. She had an answer for every question with medical reasons to back them up. She discussed litter box problems, dental health, and stress related illnesses. I really zeroed in on the need for baseline blood tests as part of regular veterinary exams to establish a norm for the pet. These baselines can then be used to evaluate results from future tests in the event there’s a medical problem. I’ve often though the veterinary care my cats have received after leaving central New Hampshire some 15 years ago, has been inadequate. In New Hampshire, baseline blood work, testing stool samples for parasites and preventive dental work were incorporated into the regular exam, not something special that you had to request. Until most recently, I haven’t found a veterinarian that performed baselines or testing for parasites and that was only upon request. But that’s another story to be discussed in an upcoming blog post. Dr. Cohen is an accomplished veterinarian. She is a USDA accredited veterinarian who practices in New York City and Long Island. She lectures of animal-related subjects and offers her services to several nonprofit organizations (thus the presentation to CWA). She received her BA from Columbia University and her DVM from Cornell University, one of the best veterinary schools in the United States. 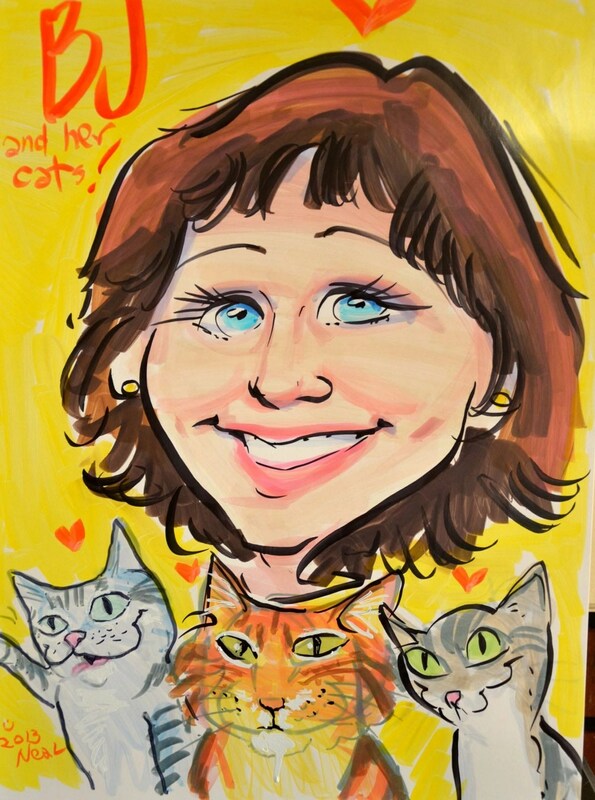 In addition to practicing veterinary medicine, she shares pet advice, delivering Healthy and Happy pet reports every Saturday and Sunday on WCBS880.com worldwide and WCBS 880AM radio in New York, New Jersey, Connecticut and Pennsylvania. Owners that think they need to learn a foreign language to communicate with a Japanese Akita or any pet with a foreign derivative. If the owner is upset, the pet may sense this and become agitated. Even for exams calling for only booster shots, a thorough exam is a must. It’s easier to feel the size and shape of organs in a thinner animal than one that’s obese. Adrenaline surges from fear can temporarily numb pain, and owners can think the pet is playing tricks on them to gain attention because they act perfectly fine at the vet’s office. Dogs and cats that undergo chemotherapy do not lose their hair. As you can see, the book offers a wealth of information. In part one, she goes from “Have I Got a Job for You, Strange Events, Stranger Events, Puppy Love and Kitty Care, Help, to When the Time Comes. In this latter chapter, she talks about how it breaks her heart every time she puts an animal to sleep because she’s gone through it herself saying it is an emotional roller coaster,” she says in the book, because it’s hard to know when the right time is. Euthanasia is a very difficult subject, but it’s also kind, because it can be the most humane option when a pet is in pain, or has no chance for recovery. She also advises people that have put a pet to sleep or have lost a pet due to illness or accident to talk to other pet owners because they will understand that it was not just a dog or cat, but a part of the family. In part two, “The Doctor is Me,” she outlines her journey from childhood to becoming a veterinarian. She talks about her affinity of animals at a very young age, including hatching an incubated chicken as part of a science project, only to keep those chickens at her parents’+++ house until they grew into big roosters. Then, she housed them at her grandparent’s back yard. She tells how a guidance counselor discouraged her from going into veterinary medicine because there were so few veterinary schools in the country. It was also a time when there were very few females in the field. They encouraged her to go into an easier field like becoming a doctor. On a humorous, or maybe not so humorous note for veterinary students, she tell freshman students becoming so immersed in anatomy that they no longer see a dog or cat walking, but see ‘a series of muscles and bones.” Upon graduation, she was faced with the decision of medicine versus surgery, weighing the pros and cons of both. She also faced the decision of working for a nonprofit organization or private practice. She opted for the latter, taking emergency phone calls at the wee hours of the morning. 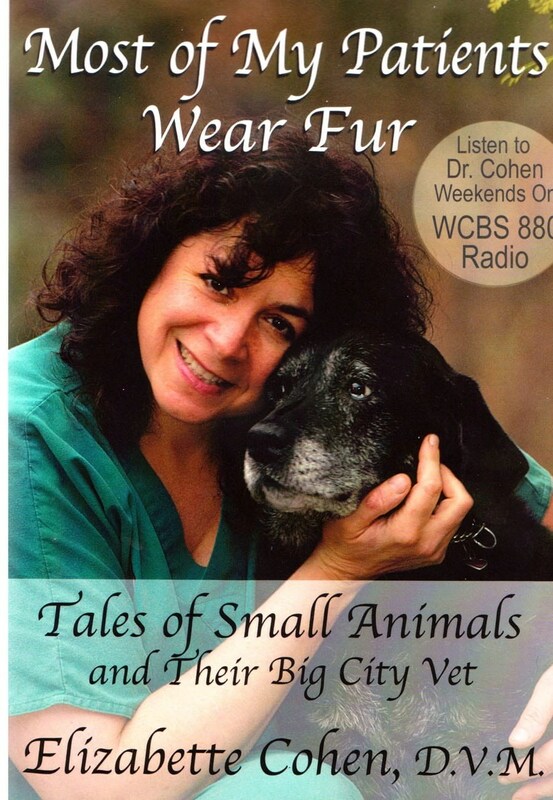 Even if you haven’t had a chance to hear Dr. Cohen make a presentation, or hear one of her one-minute radio spots, put “Most of My Patients Wear Fur” on your must read list. You’ll come away with a number of times that you’ll think, “Wow, I didn’t know that.” I certainly did, and admit I came away with a whole new appreciation of how difficult it is to be a veterinarian. Have you read Dr. Cohen’s book? If so share your thoughts and insights about it. 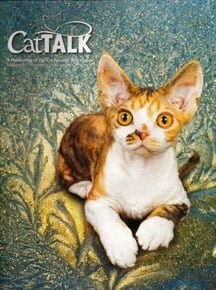 Do you have a favorite pet information book that you’d recommend we read, or talk about in a future blog post? Paws for Reflection welcomes your input and suggestions.